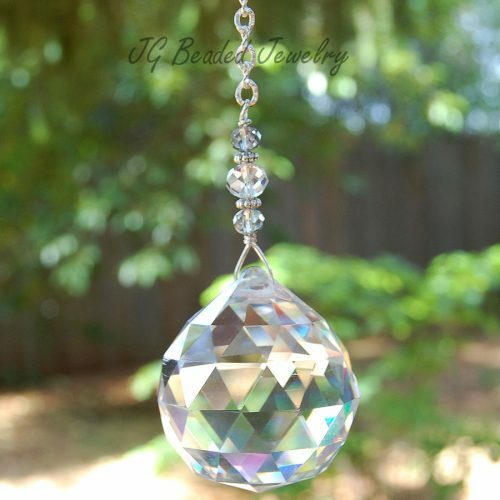 This Swarovski heart crystal suncatcher decoration can be hung from the rearview mirror, easily attached to an existing ceiling fan or light pull chain, or hung in a window to add a little sparkle to your life. The Wild Heart has an elegant and classy shape, it is the best quality and would make a wonderful gift for someone you love! 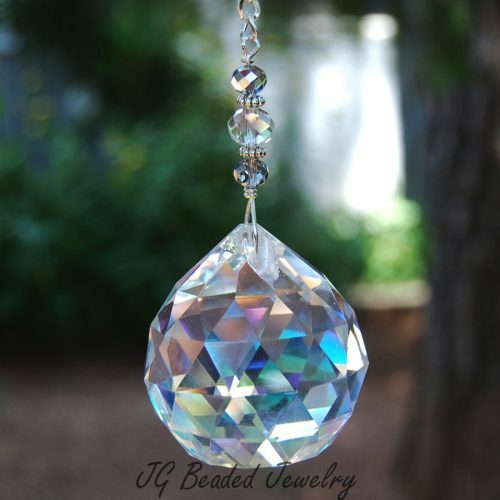 Swarovski is known worldwide for quality, precision cut, and flawless crystals – they are the best! 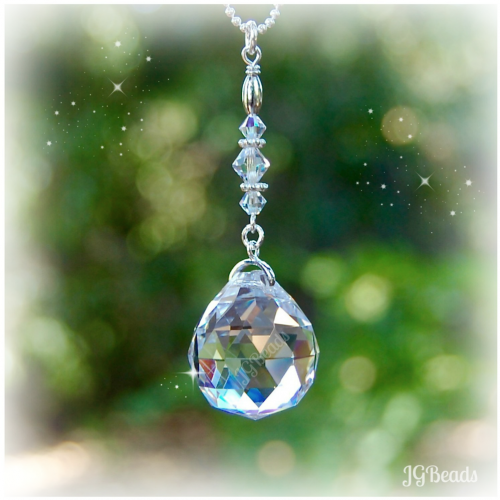 The beautiful clear Swarovski crystal heart is spectacular! 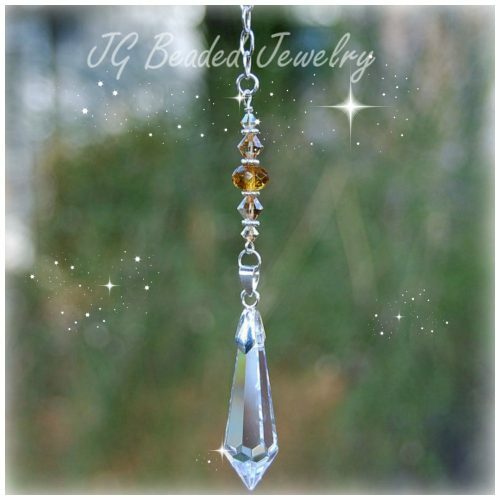 It measures approximately 1″ long by 7/8″ wide. 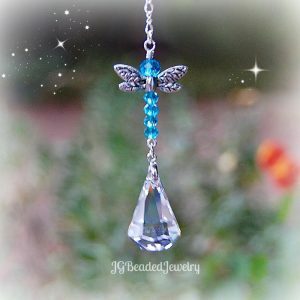 The heart is wire wrapped with sturdy silver wire by hand with great attention to detail. 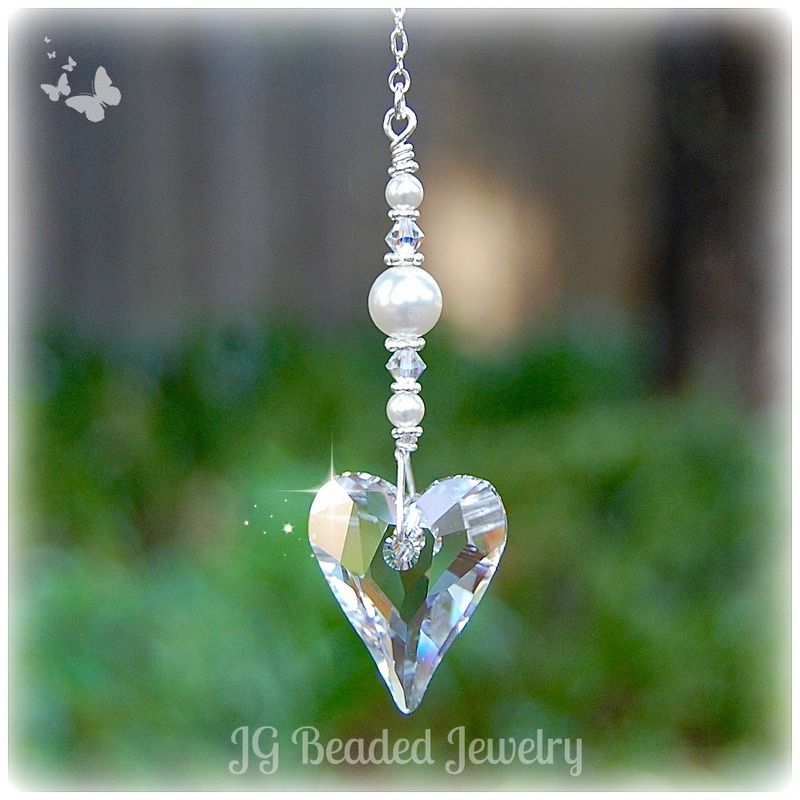 The Wild Heart is embellished with iridescent Swarovski crystals, white Swarovski glass pearls and fancy silver metal beads. Quality made to last for a long time and absolutely dazzling in person!